A photographic essay recounting the creation and installation of the Statue of Liberty. The Statue of Liberty is known around the world as a symbol of freedom and democracy. Poet Emma Lazarus' words inscribed on its pedestal - 'Give me your tired, your poor, your huddled masses yearning to breathe free' - beckon the poor and oppressed everywhere. Fittingly perhaps, the installation of the Statue of Liberty was no small feat. When its size and scale became a reality, the creators in France and the United States were faced with a number of colossal challenges. The solution would be an unusual and groundbreaking union of art and technology. 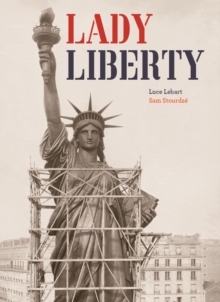 'Lady Liberty' recounts the conception, construction, assembly and installation of the statue in rarely seen photographs and informative text. It shows how French sculptor Auguste Bartholdi used photographs and photomontages - notably, a giant panorama of the city of New York - to study the site chosen for his statue and to monitor its construction, which was taking place in Paris. The photographs showing the progress of the statue also became a great communication tool. Financing the colossal gift from France to America took massive fundraising that only innovative advertising could generate. 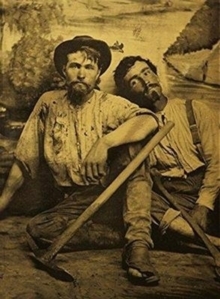 It would give birth to the now-familiar method of exploiting the immediacy of photography to drive commerce. 'Lady Liberty' traces both the expected and the surprising elements of the statue's construction and assembly, and show how the image of the statue oscillated between reality and fiction. They record a vast utopian project that lasted 20 years and was marked by the major political, social, architectural and aesthetic influences of the time. For all libertarians, for historians, for photography aficionados, for students young and old, for newcomers welcomed by Lady Liberty, this book takes readers on a journey through the unknown life of one of the world's most powerful icons.